Van Don, named after the district in which it is located, is the first airport in Vietnam developed under a build-operate-transfer format. The single runway airfield, which went into operation in late December 2018, includes a passenger terminal capable of handling 2.5 million passengers. Flights will connect it to major Vietnamese cities and to various Asian destinations in the coming years. More than 60 airlines and travel companies took part in promotion events for the airport in late February and early March, which included the signing of cooperation agreements with the airport and introduction of travel agents to the facility. Signatories to the agreements on tourism and aviation with the Van Don International Airport included regional travel agencies, such as Sky Angkor and DHT Aviation Inc - the Vietnamese representative of major airlines in East Asia, Hana Tour of the Republic of Korea (RoK), Viet Travel and Smile Viet. The Civil Aviation Authority of Vietnam (CAAV) announced the recent signing of a cooperation agreement on tourism development in the 2019-2021 period between the national carrier Vietnam Airlines and the Cambodian Ministry of Tourism. Under the agreement, Vietnam Airlines will open routes connecting the city of Ha Long with destinations in Cambodia, including Siem Reap, Phnom Penh and Sihanoukville. The signing ceremony took place during a state-level visit to Cambodia by Communist Party General Secretary and President Nguyen Phu Trong on February 26. CAAV Deputy General Director Vo Huy Cuong said this would be the first step for the domestic aviation industry to implement Prime Ministerial Decision 105/QD-TTg dated January 22, 2019 on enhancing air connectivity with tourist source markets. 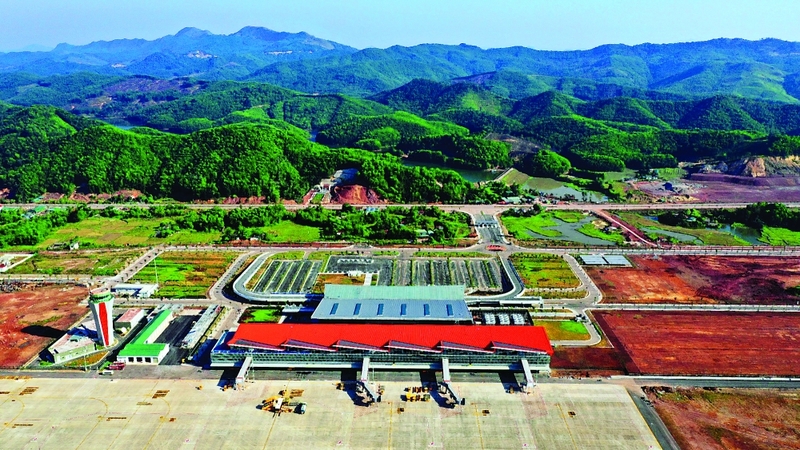 “The Van Don International Airport will be connected by domestic flights to Vinh, Da Nang, Ho Chi Minh City, Quang Nam, Nha Trang, Can Tho, Đa Lat, Hue, Quy Nhon and Phu Quoc and will have international routes to China, the RoK, Japan, Thailand, Malaysia and Singapore from now to 2025. These are decisive factors for sustainable development of the airport, in particular, and Quang Ninh’s tourism, in general,” Cuong said. The Van Don International Airport and Quang Ninh Province have announced a series of incentives to attract airlines and travel companies to open routes and tours. These include reducing the rental price of counter space at the terminal and the cost for advertising in the airport. The airport’s director, Pham Ngoc Sau, said the airport currently provides incentives mostly to charter flights by reducing take-off and landing fees and cutting ground service costs by 70 percent. Dang Minh Truong, Chairman of Sun Group, the investor of the Van Don International Airport, said besides incentives for tourists (discounting tickets by 20-50 percent at the Sun World Halong Complex), Sun Group is committed to support policies for airlines and travel agencies when they open tours to Quang Ninh. “It is a privilege to experience the group’s projects in the province such as Sun World Halong Complex, Quang Hanh Hot Mineral Stream Resort, Sun Premier Village Halong Bay and other products of the group,” Truong said. Quang Ninh Province will also call on local businesses to provide incentive packages, including entertainment services, accommodations and restaurants for tourists who travel to Ha Long by air. Vo Huy Cuong said the CAAV supports charter and stopover flights to Van Don, and will work with relevant ministries and sectors to assess the impact and benefits of stopover flights that combine two or three destinations. Stopover flights serving multi-destination trips are considered suitable for tourists from East Asia - the biggest source of revenue for Vietnam’s tourism. This year is expected to be a busy time for the Van Don International Airport as Quang Ninh Province promotes implementation of the government’s Open Skies policy to create breakthroughs in tourism development. and departures each week, with average seat occupancy of flights to/from the airport at nearly 70 percent.